No need to install software on your computer, no need to manage data files. A super easy way to keep track of your book collection and wish list. No need to sync data back and forth, it's all in the cloud. 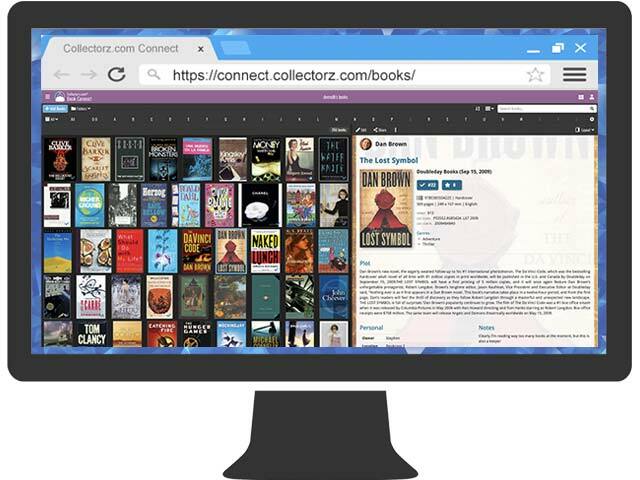 Catalog your book collection online. Automatic book details and cover art. Easily create your online book inventory. Track the books you own or read. Share your book list with friends. Online library software, no downloads. Login from any PC, Mac, tablet or phone. USD $29.95 per year. Free 7-day trial. or scan the ISBN on the back of the book.